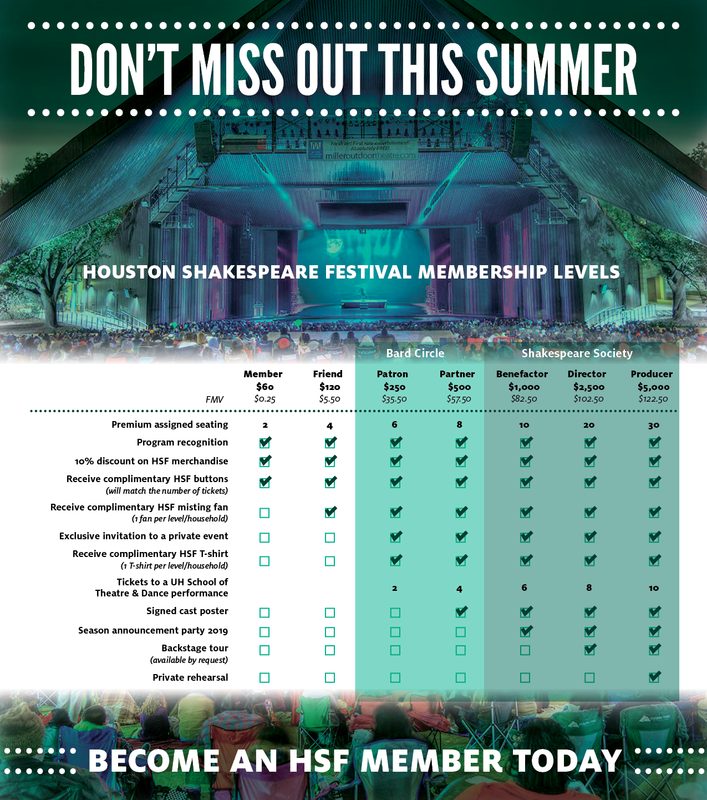 With a donation of $60 or more, you will receive premium assigned seats for this summer’s free Houston Shakespeare Festival season at Miller Outdoor Theatre. 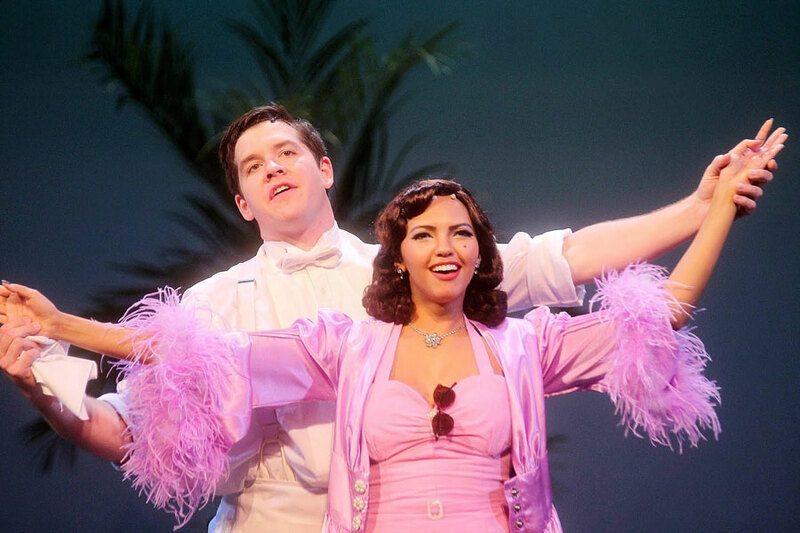 Click here to become a supporter today! The Houston Shakespeare Festival is the professional arm of the University of Houston. The University provides space for HSF and covers a small portion of other expenses, but this free festival is made possible by the support of Houston community. Contributions are essential to our existence. We very much appreciate your financial support.